Anger is contagious. Neuro-science is researching what they call mirror neurons that cause us to naturally "catch" the emotional communication of another person. A key part of anger management is learning to deal with someone else's anger without being pulled into their mood. 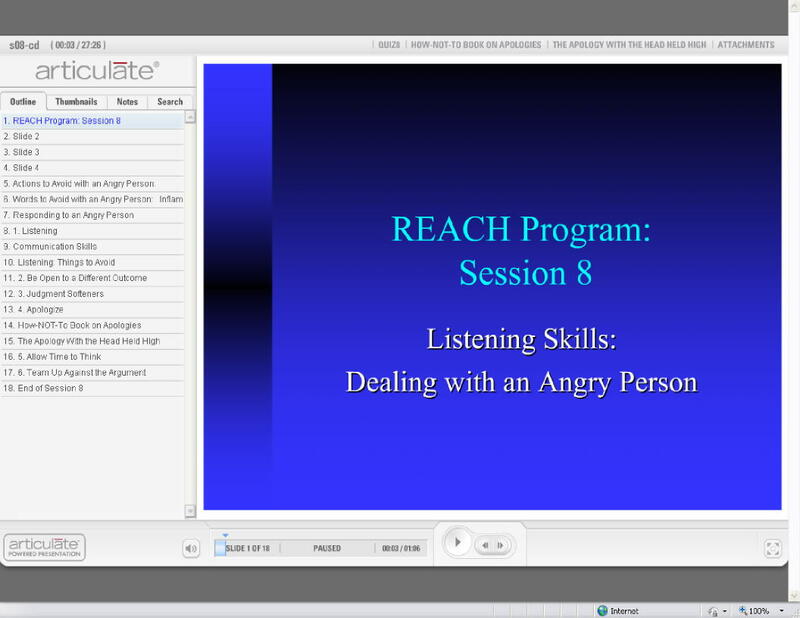 This session explores several techniques of dealing with an angry person. Among these skills is listening, which--when done correctly--can be quite powerful in helping to defuse anger and conflict. Also covered in this session are apologies without shame, and Teaming Against the Blob. The How-Not-To Book on Apologies: a multimedia training module. Click the arrows in the upper right-hand corner of the page to move through the module.